Tuesday, April 18 marks the dreaded deadline for filing income taxes in the United States. With Tax Day looming, Professors Scott Rick and Katherine Burson from the Stephen M. Ross School of Business at the University of Michigan and Gabriele Paolacci of the Rotterdam School of Management at Erasmus University revealed an interesting study. Their work found that certain people, despite its negative connotations, were actually positively motivated by filing income taxes. The crux? It depends on the belief of how those taxes are being spent. To say it was a bad week for United Airlines is being a bit nice. In the wake of the company’s most recent public relations disaster, United Airlines president and CEO Oscar Muñoz—a Graziadio School of Business and Management MBA alum—has earned some heat. And by some, we mean solar flare level. Company stock is tumbling with losses reportedly north of $255 million just days after the news broke. The good news (well, not for United) is there may be some valuable lessons for MBA students and business leaders of what not to do in situations like this. Three Columbia Business School MBA candidates nabbed first place in the recent Executive Leadership Council’s (ELC) 2017 Business Case Competition, sponsored by the Exxon Mobil Corporation. The trio of Eddwina Bright, Alryl Koroma and Durrell Mack earned a cash award of $35,000, with teams from the Wharton School and the Kellogg School of Management coming in second and third place respectively. The Zicklin School of Business at Baruch College round one deadline for the accelerated One-Year MBA degree is April 15. Decisions for the MBA will be reached by May 15, with Round 2 dates not available as of yet. The 42 credit degree begins in June. The final application round for the full-time MBA at the D’Amore-McKim School of Business at Northeastern University is also April 15 and the full-time MBA information session quickly follows on April 18. 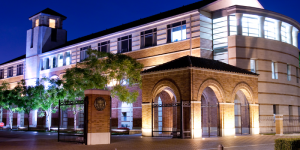 On the other side of the U.S., the USC Marshall School of Business final round of full-time MBA is also April 15. Although, applications submitted after then will be accepted on a rolling basis.